Otho Peters Work | Launceston Then! 1878: Otho’s first known architectural skills are shown in the design of the two villas named ‘Northernhaye’, at the end of The Lower Walk: one of them was home to Otho and his family for many years. 1879: The Post & News carried the following advertisement in March 1879: To Builders: The Trustees of the Maxworthy Cross Bible Christian Chapel request TENDERS for the Erection of a Chapel, School-Room and Stables, at Maxworthy. Plans and Specifications may be seen at the office Mr Otho B Peter, architect, Westgate Street, Launceston, from Wednesday 12th to Wednesday 19th March, 1879, and after that date at Mr T Cory’s, Maxworthy, North Petherwin. Tenders sealed and endorsed to be received by 30th March., 1879. No Tender necessarily accepted. In 1880 the Local Education Board received instruction from the government to erect proper school buildings; the first to be erected then was at St Stephens. It was stipulated there had to be accommodation for a master and family. Mr Peter drew up a design for a school and was then told about the stipulation regarding master’s accommodation. 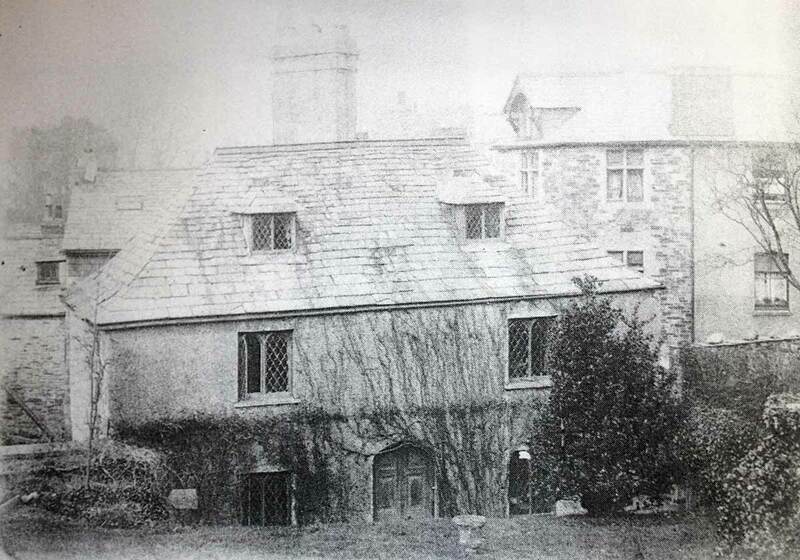 He approached the Board and told them it would be cheaper to build a house to the school than to purchase another site and build a house on that; the Board accepted the argument and the school was designed, erected by Mr William Burt, contractor and builder, of Newport. 1880: Mr Peter also designed a large house sited in an old quarry at the top of Windmill Hill. 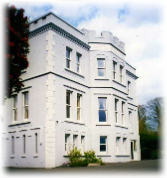 Named ‘Craigmore’, this house was built for the first headmaster of the new Dunheved College, Mr Ralph (later Dr Ralph). The building was erected by Messrs. Strike, builders, Launceston. The house was sold when Dr Ralph decided to emigrate to Canada, and was purchased by Claude Peter, the brother of Otho, who then requested Otho to design additions to the house. One part then had a flat roof, which in WWII was used as a fire watch station by the local A.R.P. Unit. 1882: National school wing. Post & Weekly News, February 11th, 1882. The foundation stone of a new wing to be added to the National School of Launceston was laid on Thursday by Miss Gurney, daughter of the High Sheriff of Launceston. The architect is Mr Otho B Peter; the builder Mr Charles Congdon, of Newport; the cost about £200. Reverend S W E Bird said he had been informed by Mr Peter that previous to the building of that school-room by the liberality of the Duke of Northumberland, a school was held in the old Gaol in the Castle grounds and before that in the Grand Jury Room in Tower Street. 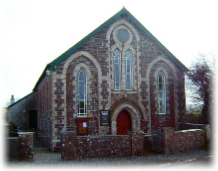 Holsworthy Church –In 1882 Mr Peter was engaged to redesign and enlarge Holsworthy Church; the building works were carried out by Mr Wiffin, builder and contractor of Holsworthy. 1882: The Tavistock Bank was founded in Tavistock in 1791, by Messrs Gill & Co, and changed hands several times in its early days. 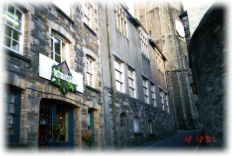 A Branch was opened at Launceston in 1832, Mr Richard Dingley being the agent; Mr Dingley left to begin his own bank in partnership with Mr Pethybridge and others, in Westgate Street, in 1855. In 1882 Mr OB Peter was requested to design a bank house on the corner of Broad Street and Church Street, on the site of a house formerly used as the Tavistock agency. This was erected by Mr William Burt in 1883. FIRE 1932. In later years The Tavistock Bank building was made into a café, offices, and a flat: in October 1932, the newly refurbished flat on the top floor caught fire and was badly damaged to a cost of between three and four thousand pounds. 1882: The Congregational Sunday School: Designed by OB Peter, it was to be erected adjoining the Ring O’Bells Inn. The first plans showed that, due to the steepness of the hill, there were to be steps to the entrance but because the steps encroached upon the next premises, they were changed to a small bridge from the roadway. The second set of plans were accepted by the Board and the church. The newspaper reported: ‘ the new school about to be erected in Northgate Street, opposite the Congregational Chapel, will be a fine building, and the cut-stone frontage will have a striking effect. The site must have been a very difficult one to plan such a building on. To gain convenient and level entrance the architect had proposed to enter by a landing, but members of the Board of Health have raised a strong opposition to this scheme on the grounds of encroachment. No doubt, however, an amicable settlement will be arrived at. The building will consist of a school-room – 48ft. by 25ft. 6ins.wide, eight class-rooms, library, &c. &c..’ The foundation stones were laid in November. 1882: POUNDSTOCK CHURCH RESTORATION. The United Methodists and Bible Christians, who have chapels in this parish, have, during the past few years, greatly improved their accommodation, a new chapel having been erected at Dimma and the chapel at Bangors completely renovated. The Church friends now intend to follow suit, and to restore the ancient parish church, which is at present in a somewhat dilapidated condition. A meeting of the parishioners to consider this matter was recently held, and, principally through the energy of the rector, Rev PD Dayman and Mr E Mucklow, who takes great interest in all affairs concerning this parish; the project is likely to be brought to a satisfactory issue. Mr Mucklow (who was mainly instrumental in getting the parish church of Whitstone restored) has, at his own expense, had plans prepared by Mr OB Peter, architect, of Launceston; moreover, he has promised the sum of £500 towards the amount required, which is estimated at about £1,500. Mrs Hawks, formerly of Okehampton, but now of Weston-super-Mare, a lady who is also much interested in he parish, has offered another £500 towards the Restoration Fund. An executive committee was formed to carry out the work, which it is understood will be commenced forthwith. 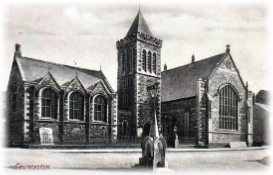 1883 brought work from the Congregational Church in Castle Street, Launceston, who required a Sunday School to be built on Northgate Street ‘adjoining the Ring O’Bells.’ Mr Peter also investigated the fabric and history of St Stephen’s Church in that year. 1885 : In 1831 The East Cornwall Bank opened an agency at No 6, Broad Street, Launceston. In 1885 they decided their premises needed to be improved. Mr OB Peter was engaged to plan a larger, modern building, more in keeping with the business, and to continue the type of edifice erected for the Tavistock Bank up Broad Street, including the insertion of a shop between the two banks. Mr Burt again won the contract for the erections. 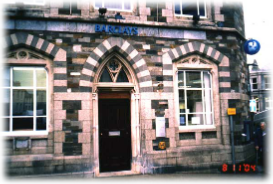 The East Cornwall Bank later changed to Barclay’s Bank, FIRE: the bank caught fire in April 1934, smoke and water causing more damage than the fire, which was quickly spotted and the fire brigade soon had it under control. [It may seem a bit ironical that both banks were built two years apart; both banks also caught fire two years apart]. 1885 Kensey Cotts. 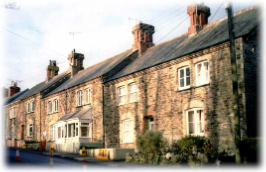 Mr Otho B Peter, as architect to the Launceston Land & Building Society Company, Limited, was employed to design five cottages at Kensey View, Exeter Road. The cottages were put up for sale by the company on completion: “Houses For Sale: The LL & BC Co. Ltd, offer For Sale by Private Contract, in One Lot, the block of Five Commodious and Well-built Cottages, with Gardens attached, being Numbers 12 to 16, inclusive, situated at Kensey View, Exeter Road, Launceston.” The above was dated 17th March, 1885. 1886 Town Hall. Fire station. The new Town Hall foundation stone was laid 30th September, 1886, by Miss Caroline Pearse, who received a silver trowel from Mayor Dr Andrew. The Mayor laid the second stone and was presented with a trowel by Mr Hine, architect, of Messrs Hine, Odgers, & OB Peter. Lord Chancellor Lord Halsbury, and Mr CTD Acland, MP. also took part in the ceremonies. The Town Hall was completed in 1887 for £2,300, and was designed by Mr OB Peter and Mr Hine of Plymouth to seat 1,000 persons. 1886 Jacobstowe church. 1886 brought work from Jacobstow where he designed the alterations and refurbishment and also wrote the history of their church. 1886. St Mary Magdalene Church Sunday School : Description of the Building. On Wednesday last the handsome school-rooms which have been recently erected for the accommodation of the children attending the Sunday School in connection with St Mary Magdalene Church were formally opened. The building, foundation stones of which were laid in the early part of July last year, stands at the top of Tower Street, adjoining the church, and apart from the purpose for which it is intended, is an ornament to the town, and reflects credit on all those who have worked hard for its erection. The style of architecture is Tudor, in keeping with the charming character of the church. Local stone has been used, with frontages of cut granite for the quoins and cut Bath stone for the windows. Entrance to the building is by means of a door at the higher end. To the left of the entrance door is the boys’ schoolroom, 44 feet by 23 feet, and on the same floor are two class-rooms. The larger room is lighted with two handsome chandeliers with patent reflectors, and the smaller rooms with a single reflector pendant each. A broad staircase of pitch pine leads to the first floor, where there is another large room intended for the girls, of the same size as the one below it, but capable of being enlarged by removing the folding doors which divide it from the infants’ school, the dimensions of which are 24 feet 6 inches by 13 feet. Artificial lighting of the smaller room is by a pendant centre light with reflectors. In the large room there is one of Wenham’s patent suspending lights in the centre, and at each end there are two wall brackets. The ceiling is of stained wood, and the doors are made of pitch-pine panels and stained oak frame work. Pitch-pine is used in most of the other wood work. In the basement, leading to which there is a flight of steps from the entrance hall, there are rooms for the residence of a caretaker, a hot water boiler, and other conveniences, and at the back is a large playground with ample space for an enlargement of the building should it at any time prove to be necessary. Mr Otho B Peter, ARIBA., is the architect, and his excellent plans have been efficiently carried out by Messrs J and W Strike, of South Petherwin, and J Dingle of Kelly Bray, the former doing the masons’ and the latter the carpenters’ work. The plumbing and gas fitting has been done by Mr W Prockter, Messrs Oke have carried out the necessary painting and graining, and the cut stone work was supplied by Mr Rogers, of Ford Street, Tavistock. By the gentlemen named the work of erection has been carried out in a substantial and praiseworthy manner, and with commendable despatch. It is intended to remove the iron railings at present standing opposite the entrance door by the tower, and to erect a gate at the approach to the building from the street, which will effect a material improvement in the appearance of the place. About £1200 is the estimated cost of the building and site, of which the contractors’ share amounts to £750, exclusive of incidental expenses. Of the total cost over £900 had been raised by subscriptions and other means at the time of the foundation stone laying, and a further sum of £326 was realised by a two days bazaar in August, so that no very heavy debt remained at the commencement of the opening proceedings, to be cleared off. 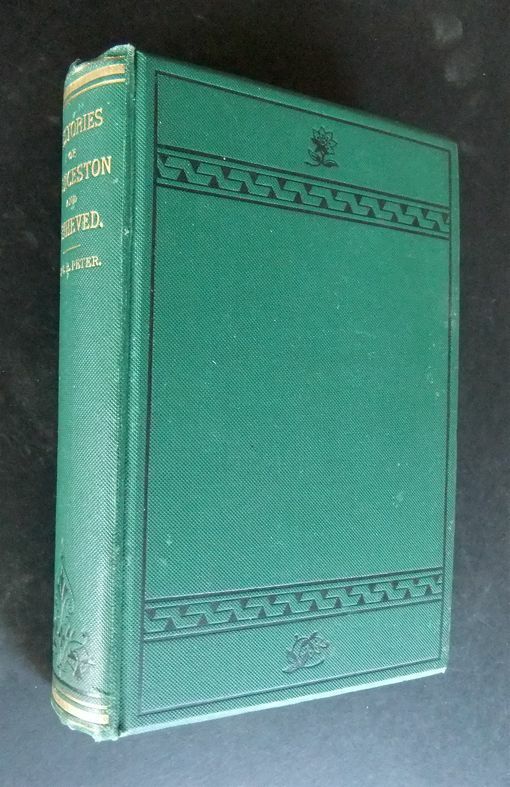 1886 was the year Richard and OB Peter had their book on the History of Launceston published. They must have spent a lot of time researching, reading, deciphering and travelling during their ordinary working lives. Also in 1886, in March, Mr Otho Peter was elected a Member of the Society of Arts, to which the Prince of Wales was President. 1887: Early in 1887 Mr Claude Hurst Peter, brother of Otho, due to pressure of work, resigned his position as secretary to the Launceston Scientific & Historical Society and this job, along with the treasurer’s position was passed on to Otho. THE JUBILEE OF HER MAJESTY QUEEN VICTORIA. Extract from C&D report of council meeting: “The Launceston Town Council have just unanimously voted £50 towards the repair of the South Gate (the only one of three still standing) and it’s conversion into a local museum. Until this time the historical artefacts were kept in the Guildhall but were then removed to the Arch. During the 1939 -45 war, the museum was kept closed: the arch was damp and airless and many of the artefacts were mouldering away; a committee was set up to decide the fate of the artefacts which could be saved, and they were deposited in a room in the Passmore Edwards Library & Institute where they remained until Lawrence House was granted to the town when it was then decided that was to be the repository of the museum artefacts. 1887: Egloskerry church refurbishment. In 1887, Mr Peter was engaged to refurbish Egloskerry Church, which was in a very bad state, the walls having been penetrated in some parts by ivy which made huge cracks in them. He, of course also wrote of the history of that church. 1889. Mr Otho Peter, as Town architect, was requested by the Town Council to draw up plans for the refurbishment of the Armoury. Previous repairs had been carried out in 1869, when requests for tenders for new timbers, &c. for the Armoury were advertised in the Post & News. 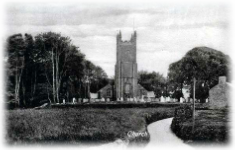 1889: From ‘Guide to Devon Churches’: “DUNTERTON: All Saints (no village). 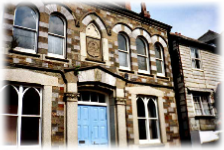 1890: The Baptist congregation of Launceston, who were then worshipping in the Oddfellows Hall, in 1890 decided they required a building of their own and in 1891 engaged Mr OB Peter to design a chapel for themselves. The building was to be “a pretty Gothic chapel of several varieties of local stone. The front to be of cut and dressed stone, a handsome three-light window being placed there. The chapel was to be entered from the east side, through a small porch; the seats to be of pitch pine, sufficient for 120 adults, and the roof to be an open timber one. The chapel would be heated by hot water and lit by gas. Beneath the chapel [which would be at street level] would be a schoolroom and other offices entered from the chapel by stairs, and entered by an external door. Mr George H Strike, builder, won the contract for the erection. The chapel was too small for the congregation by 1928, and the authorities purchased ‘Madford’ when the estate was put on the market. The old house was altered and enlarged, and on 5th June, 1928 it was opened for divine worship. 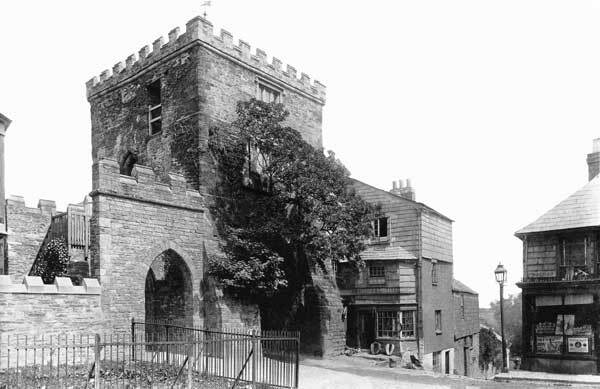 1890: In January, 1890 a disastrous fire destroyed the church at Lewannick, leaving only the tower standing. Otho was one of the first to view the scene the next morning and gave much of the history of the old church to newspaper reporters there; he was requested to design a building to replace the burned-out one which he did, as near as possible the original plans. The new church was erected and opened on the 11th October the same year at a cost of nearly £2,000. 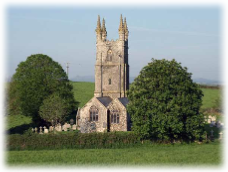 In that same year Mr Peter requested builders to tender for refurbishment work he had designed for Dunterton church, on the Tavistock road above Greystone Bridge. Mr Peter designed the new Cattle Market for Launceston and also drew up plans for the school board to make alterations and improvements to the Board Schools in the town. Also in 1890 he was requested by the Launceston Baptists to design a church and Sunday school building for them, which was erected in the Western Road. 1894: Castle Temperance Hotel: The Temperance movement was growing in the Launceston area through most of the 1870s and onwards, and after several unsuccessful attempts to close public houses in the area, the movement put in a bid for the old Exeter Inn, in High Street. Finally being successful they had the old inn taken down and engaged Mr OB Peter to design a Temperance hotel to place between the existing buildings in 1894. The new edifice was named The Castle Temperance Hotel and was inserted between other shops with some difficulty by Mr William Burt, of Newport. Soon after completion the new landlords held a grand dinner for every one connected with the building, including Mr Burt and his workmen. 1895: In 1895 Mr OB Peter was engaged by Dr Thompson to design a residence, complete with stables, boundary walls, etc., on a site beside Roydon Road. This was for the doctor to live and practice in and was named “Penquite”. 1896: Church Street: The charity shop: At midnight, 30th March, 1896, a fire was discovered at Miss Maunder’s tobacconist shop in Church Street. The fire brigade was called: people were trying to break in in case Miss Maunder was asleep or trapped within. It turned out she was visiting outside the town that night. It took several hours to damp down the premises and it was then discovered some damage had been caused to furniture and fittings in the upstairs part of the London Inn: damage was averted in Mr Hayman’s property due to Mr Wroth, an employee, pouring water on the party wall from inside the music warehouse. 1897: The Launceston Liberal Association decided it was time to move to more appropriate premises from their above-shop premises in Westgate Street and engaged Mr OB Peter to design a suitable clubhouse and offices on a site in Castle Street. The premises were erected by Messrs Broad & Werren opposite the Wesleyan Church at the top of the street; the plumbing work was carried out by Mr AG Wenmouth, Launceston. The new club was due to be opened on Friday, May 27th, 1898, but due to the funeral of the Right Hon, WE Gladstone being held the next day the ceremony was postponed to Friday, 19th June. The club contains in the basement – a kitchen, larder, and coal cellar; ground floor – entrance lobby, caretaker’s rooms, and a shop. The first floor is by way of a wide staircase and contains reading, games and smoking rooms. On the second floor is a handsome billiard room which includes a billiard table of the latest design, and with all modern improvements provided for use of the members. Externally the building is of warm red brick, with a tile hung frontage, projecting corner oriel, square bays, and gabled roof. 1898: In 1898 Mr Peter was requested to design a shop for Mr Trethewey, baker and confectioner, to be erected in Church Street, Launceston. The new shop was built on a site “bounded on one side by the newly erected premises of Mr William Cook, grocer, and on the other side by premises late in the occupation of Edward Marshall and Mr George Trethewey, baker and confectioner.” The new building was erected by Mr William Burt, Newport, faced in red brick, The date is picked out in black bricks beside the upper floor windows. 1900: Cattle Market: 1900: During his reign as Town Surveyor, Mr Peter was called upon several times to design or alter many parts of the town for the Borough Council, including several houses in various parts. One of his largest, and still very visible, designs was for the new cattle market, which the Town Council decided, after many years of complaints was needed to take the animals out of the streets. Otho was requested to draw up plans to fit on the side of Race Hill, considered the only place possible, with regard to the area required to accommodate such a project. From a newspaper article I extract the following: Launceston Weekly News, January 27, The New Cattle Market. Whatever may be the opinions as to the desirability of the site occupied by the new cattle market, it is generally agreed that the market has been well laid out. The opening ceremony is to take place on Tuesday next, and particulars in regard to the order of proceedings will be found on our front page. The contract was commenced in January 1899 and will probably be completed about Lady-day, 1900. 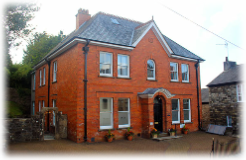 The whole was designed and superintended by Mr Otho B Peter, FRIBA, architect, of Launceston who has carried out his work with his usual skill and ability. The contractor was Mr E Sharland, Launceston. 1900: Mr Dunn’s bakery: Mr Dunn was in business at No 1 Westgate Street, but wished to have newer and larger premises. His opportunity came when the old Little White Hart, due to poor maintenance and in need of very great repairs, was put up for sale without a license. 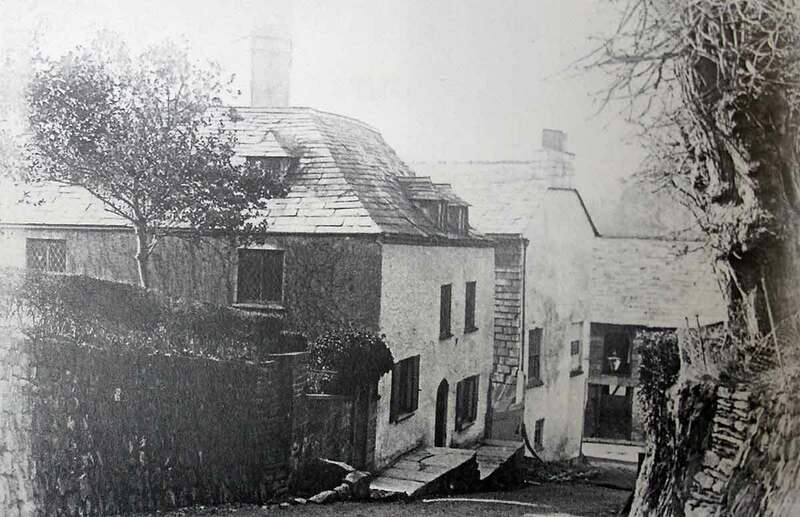 Mr Dunn purchased the premises and engaged Mr Peter to design a new shop and premises to include a large bakehouse. The premises were erected by Mr James Broad, builder, Launceston. 1901: Reports upon the rings, rounds, barrows and mounds investigated and measured by Mr Peter were inserted in papers and articles in the Reports of the Royal Cornwall Institution Society, and in articles in various magazines. 1905: Mr Edwards, a wealthy Cornish philanthropist, offered money to Launceston Town Council to build a free library in the town, in 1899. The council dithered over what site it could be erected upon, when it could done, and whether the town was really ready for a library. Mr Edwards gave them an ultimatum in 1900, use the £2,000 offered – or lose it. 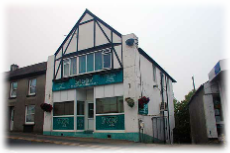 The council, then having purchased the old Jubilee Inn, considered taking it down and placing the library there. It was finally decided to place it on the site of North Gate House, opposite the Northgate Inn, where it was finally opened on the 20th April, 1900. In 1905, Mr OB Peter, architect, was called upon to alter and repair certain features of the building. In 1910 it was reported the library held 2,962 volumes; 2,105 in the lending section, and 735 in the reference section. 1906: In 1906 Mr Otho Peter drew up the design for a town badge and his drawings were to be put to Rouge Croix at the suggestion of the Mayor, by the Town Clerk, while he was in London. At the same time the Mayor suggested the motto ‘Royal and loyal’ be added and this was approved by the council. Apparently the design was accepted and approved and Launceston Borough Council was the first civic body in England to be granted such a badge. “Launceston, Cornwall, was officially recognised as a Royal Borough on 26th March, 1906, by Grant of the Earl Marshall of a Standard, Badge, and the Motto ‘Royal et Loyale’, this grant being the first of its kind to any Corporation.” The original Standard is to be seen hung in the Church of St Mary Magdalene, Launceston – now without its cover of plastic. The Borough Flag was flown upon the castle. In 1910 Mr Claude Hurst Peter, solicitor, decided that the old family business in ‘Moffat’s Tenement’ at Westgate, needed an up-to-date new premises, and brother Otho was requested to design new offices for that spot. The new building is of red brick, standing tall at the foot of Windmill Hill, behind the Westgate Inn. 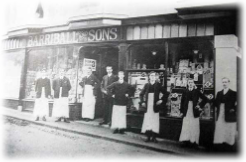 1910: Mr Barriball decided his old premises were well out of date for modern trade and employed Mr Peter to draw a design for more in keeping premises, where he could carry out his evergrowing business as a grocer and purveyor. 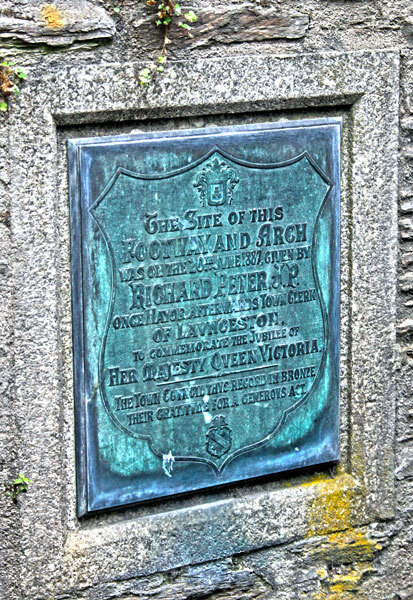 Mr Peter, when requested to do anything to a church, would also research its history and wrote many of his findings in local papers, magazines and Royal Institute of Cornwall papers, besides giving lectures upon his findings, especially of his research and measurements of most of the ‘Rings and Rounds’ to be found in North Cornwall. 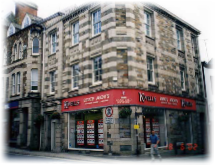 C & D Post 29 April, 1911: TO BUILDERS: Kingdon’s Court, Northgate Street, Launceston. Builders willing to Tender for clearing site, and erecting new cottages may see the plans and specifications, and particulars at Northernhaye, Launceston from Wednesday, May 3rd, to May 17th, 1911. OB Peter, 28 April, 1911. 1929: At a Council meeting, held on 23rd March, 1929, the Mayor, Councillor Edward Hicks, said he thought that as a Town Council they should send a letter of congratulations to their friend Mr Otho B Peter and his wife, who on that day were celebrating their Golden Wedding. This the Council agreed to do. “Death of Launceston Historian. Mr Otho B Peter, a well-known architect. Historical interests in Launceston have sustained a great loss by the death of Mr Otho B Peter, of Northernhaye, Launceston, a well-known architect and antiquarian, which occurred on Monday. Mr Peter had made a notable contribution to the records of the borough in his History of Launceston, and in 1883, soon after the prospectus had been circulated, it was decided to make a larger volume. This was published in 1885 in the joint names of his father (Mr Richard Peter) and himself. He also from time to time published a number of papers in pamphlet form and contributed a number of interesting articles to our column. Born 83 years ago, he was a member of a very old and notable Cornish family, being the youngest son of Mr Richard Peter, who was a former Town Clerk and the first person to receive the honorary Freedom of the Borough. Mr Otho Peter’s brother (Mr CH Peter) was also a former Town Clerk, and it is interesting to note that his nephew (Mr SL Peter) holds this appointment at the present time. Mr OB Peter was educated at Cheltenham College after which he was articled clerk to Messrs Hayward, a London firm of architects who designed several large Westcountry buildings, including the Duke of Cornwall Hotel at Plymouth. In 1887 he was admitted as a Fellow of the Royal Institute of British Architects. He retired from the profession as an architect and surveyor some fourteen years ago and the business is carried on by his son, Mr Arthur G Peter, PASI. During his career he designed a number of the large buildings in the town of Launceston, including the Town Hall, and around the Square. 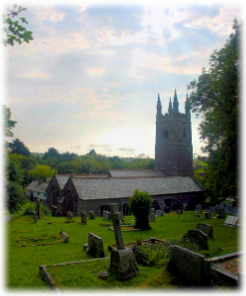 Barclays’, Lloyd’s, and Fox Fowler Banks and the Castle Hotel, restored and added to a large number of Churches extending from Holsworthy in Devon, to Creed in Cornwall, also a number of new chapels, private houses and schools. A life-long naturalist, trout fisherman, and antiquarian, he was for many years secretary to the Launceston Scientific & Historical Society, and it was primarily through his instigation that the site of the Priory at St Thomas, Launceston, was purchased and excavated, and that the Southgate was not demolished. In recognition of his services to this Society, the members presented him in 1901 with a silver salver. He was made a Justice of the Peace for the borough in 1917 and a commissioner of Income Tax in 1915.